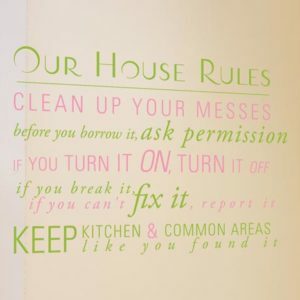 House rules wall decals are such an attractive and practical addition to a home! They are effective reminders of the values of your household while giving you a decorative and stylish interior wall space. 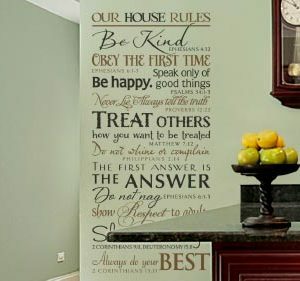 You can choose a range of different house rules wall quotes for every room in the house. 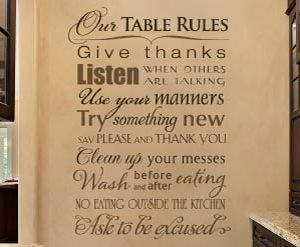 We have our kitchen table rules, playroom rules, grandparents house rules and other themes that will suit your family’s ideals. 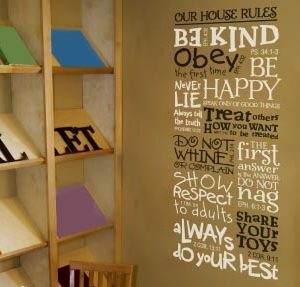 These wall words come in attractive and easily readable lettering styles that can give a zest to your blank walls. 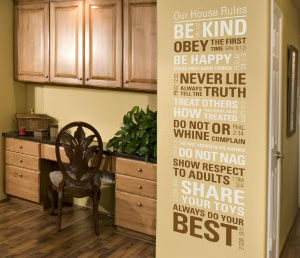 You can even have your own family motto or set of household rules inscribed. tweezers you can pull off each letter easily. 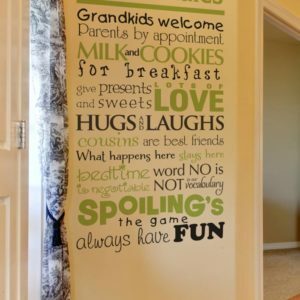 If your wall lettering has been on your wall for a long time you can use a hair dryer to soften the letters. 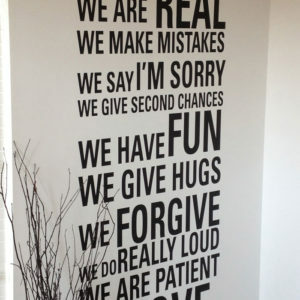 Be sure to check our wall decal previewer to check how your choice of design looks on your wall color.